Non-violation (hereinafter NV) provisions based on actions that do not conflict with World Trade Organization (WTO) agreements are measures provided under Article XXIII, subparagraph 1(b), of the General Agreement on Tariffs and Trade 1994 (GATT) and Article XXIII of the General Agreement on Trade in Services 1995 (GATS), and regulated under Article 26 of the WTO Dispute Settlement Understanding (DSU). NV provisions exist in many bilateral trade agreements also involving developed country members, such as in the Australia-United States Free Trade Agreement (AUSFTA) Article 21.2 (c). NV provisions imply that WTO member countries are allowed to take another member country to the WTO Dispute Settlement Body on allegations of loss of an expected benefit because of that country’s action, even if such action does not constitute violation of a WTO agreement. These disputes are called NV complaints or claims. While NV complaints are intended to help preserve the balance of profits struck during deals, for the time being WTO members have agreed not to initiate them under the Agreement on Trade-Related Aspects of Intellectual Property Rights (TRIPS). According to TRIPS Article 64.2, this moratorium was to last for the first five years of the WTO, but has been extended since then from one WTO ministerial conference to the next. As a follow-up to instructions to the TRIPS Council laid down in paragraph 11.1 of the 2001 Doha Decision on Implementation-Related Issues and Concerns, most WTO members at the 2003 WTO Ministerial Conference suggested repealing the NV provisions in TRIPS, or extending the moratorium. Unfortunately, no consensus was reached at that time, nor did it arise from TRIPS Council discussions to what extent and how these complaints could be incorporated into the WTO’s dispute settlement procedures. Under these circumstances, a decision taken at the 10th Ministerial Conference in 2015 tasked the TRIPS Council with non-stop debating the issue and releasing a recommendation for the 11th WTO Ministerial Conference to take place in Buenos Aires, Argentina, on 10-13 December 2017. Relevantly, the October 2017 meeting of the TRIPS Council fell short of consensus whether to lift or indefinitely prolong the moratorium. As such, the Council would have to reconvene to try to reach an agreement and submit recommendation to the General Council meeting (scheduled for 30 November-1 December), and through it to the 11th Ministerial Conference. Ultimately, it will be up to the Ministerial Conference to tackle these questions at a time when developing countries are wary of NV provisions. Meanwhile, some developed countries (including Australia, Canada, the EU and New Zealand) would like to see the moratorium renewed, while others, namely the Switzerland and the United States, agree that the NV clause should be allowed in TRIPS to discourage members from getting around their commitments. This context adds to the awareness that NV provisions are a bone of contention. As a tool backed by the developed countries, they are feared to put unpredictability and precariousness in international trade law, and serve ‘behind doors’ cross-retaliation lobbying, i.e., by threatening a dispute in one trade area to achieve a gain in a different one. WTO developing members would be put at risk should NV provisions be allowed in the TRIPS agreement. As a result, these countries might face pressures to reverse already enacted policies or measures under the threat of NV claims. NV claims could be used to threaten developing member countries’ use of flexibilities laid down in the TRIPS agreement. As regards access to medicines, the implementation of TRIPS flexibilities by these countries under Articles 30 or 31 (i.e., to grant compulsory licenses) could be charged with keeping patent owners from their legitimate or reasonable expectations. Inherently, no wonder should developed member countries claim that price cuttings of medicines under compulsory licenses deprive them of foreseen patent protection benefits. With respect to medicines, many other forms of government regulation could be argued not to conflict with the TRIPS agreement, yet to make pointless or erode the expectations of the patent owners. High risk sectors include tariffs on medicines, as would be the case should a country that has agreed to reduce tariffs on an imported product later subsidize home manufacturing of the same medicine. A NV complaint against this country would be allowed to re-establish the conditions of competition in the original transaction. What’s more, the sectors relevant to packaging and labelling requirements, and to intellectual property (IP) protection enforcement measures, may also result as risk target areas, since they might affect the patent holders’ access to the market of medicines. Under these perspectives, it would make it easier for a claim to be lodged against a WTO member for nullifying or eroding benefits by applying IP protection rules or packaging and labelling models that, despite full alignment with TRIPS requirements, are deemed to be insufficiently stringent or fraudulent. At risk there would even be an amendment to the TRIPS Agreement (new Article 31bis gone into effect on 23 January 2017) that brings a solution to Paragraph 6 of the 2001 Doha Declaration on TRIPS and Public Health, and allows countries manufacturing generic medicines under compulsory license to export all of the medicines to least-developed countries lacking manufacturing capabilities. Should NV provisions be allowed in TRIPS, they would likely act as a boost for complaints against WTO member countries using the amendment on the grounds of a loss of expected benefit to the patent holders. Taken together, the non-transparent dynamics bound up with NV provisions compound fear that their allowance under TRIPS, or the renewal of their moratorium (as an alleged tool of cross retaliation), would be something that ultimately backs the developed economies rather than making headway on the right to health in resource-limited countries. It is therefore a matter of equity that NV provisions be repealed under TRIPS. The questions highlighted here link trade and health priorities together as key issues for non-discriminatory solutions at the upcoming WTO Ministerial Conference in Buenos Aires. These should align with the WTO’s principles of non-discriminatory treatment by and among members, improved public welfare, and commitment to transparency. In this connection, WTO’s lifting of NV provisions under TRIPS would mean a rejection of ambiguous positions while helping oppose the drive of international trade for ever more unbearable IP protection rules. * Daniele Dionisio is a member of the European Parliament Working Group on Innovation, Access to Medicines and Poverty-Related Diseases. 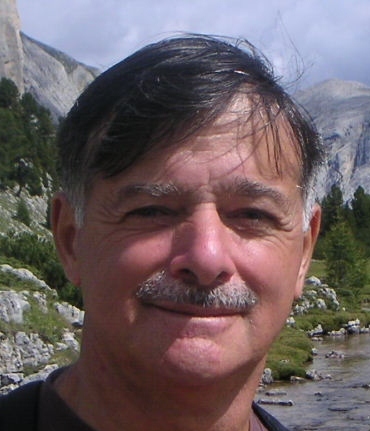 Former director of the Infectious Disease Division at the Pistoia City Hospital (Italy), Dionisio is Head of the research project PEAH – Policies for Equitable Access to Health.